Whats the most INSPIRING pedal you own? Discussion in 'Effects, Pedals, Strings & Things' started by lovesickmusic, Jan 28, 2012. My Vote has to be either the FuzzFactory or the Swell Setting on the DL4..
Actually, I'd say Space (more than my Timeline). or maybe my Tube Rotosphere. Man....this is a tough one. But while my Strymon Timeline is a very cool pedal.....my Mojo Hand Colossus is just a spectacular pedal prompting me to play until my fingers get sore! Lovepedal Tchula plus the volume control on my guitar is pretty inspiring. Lots of shades there. Clean sparkle, to a little attitude, to full on snarl, with many shades in between. Chicken Salad for cleans, Pharaoh Fuzz for dirt, although Cool Cat Fuzz is good for the price. Flashback on the way, so choices expected to change shortly. so many options and delays./sounds on it that you can create new sounds and licks all day long. Really hard not to blurt out Timeline, but is is just that: inspiring. Honorable mention goes to the POG2. Lots of vibe and cool sounds in there (and so different from drives/fuzzes/boosts/typical mods). oh crap. forgot the pog2. every time i turn it on, i write the nastiest grooves! 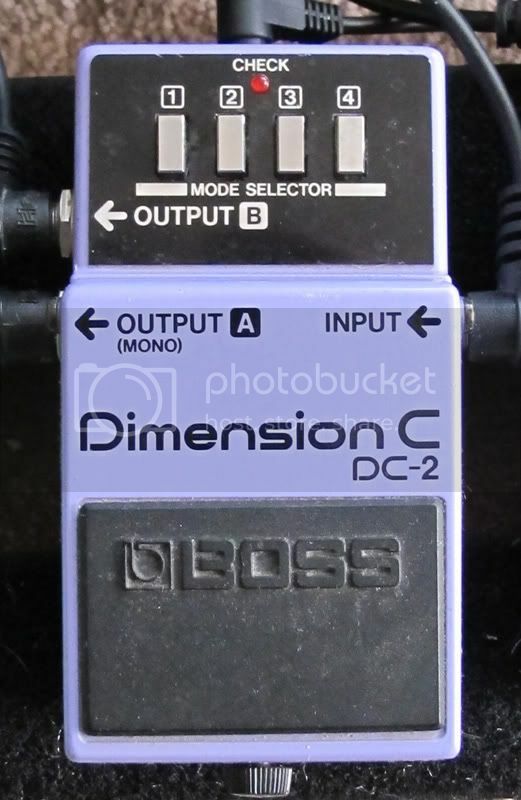 Boss DD-2 and a KOT together. This one does it for me. I don't always use it but at times I just find myself tweaking it and finding something a little differant/new. Great for strumming beautiful lush chords against hence the inspiration.